The Church Annual General Meeting which is open to all members of the Church and congregation will take place on Sunday May 19th following the morning service with the aim of finishing by 12.45pm. During the meeting we review our Church Life over the last year, look ahead, and elect Church Stewards and Representatives to the Church Council for the following 12 months. This year we will look forward to our 125th anniversary celebrations in June, and spend some time hearing about developing and emerging plans to employ two lay workers in the Church in the future. 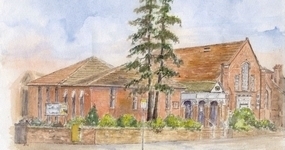 The two lay workers would be jointly employed by Hatfield Road and Marlborough Road Methodist Churches, and undertake outreach in the Church and Community with families and children, and with elderly persons respectively. In preparation for the AGM, all Church Groups and Committees will shortly be invited to submit an item for inclusion in the written Annual Report. The Annual General Meeting is an opportunity for all Church Members and Adherents to come together for mutual support and fellowship, and if you have never attended before I give you every encouragement to come.